Roy Harris was one of Americas premier composers of 20th Century classical music. His works are performed world wide as well as in the White House, where he and his wife, concert piano virtuoso, and child prodigy, Johana Harris, were guests during the administrations of several presidents, including John Kennedy. 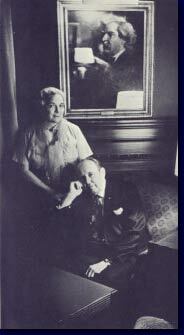 Harris studied in Paris for 3 years, on Guggenheim Fellowships with Nadia Boulanger, whose other students included Leonard Bernstein and Aaron Copland. He was the first American composer to conduct his own works in Russia, where he conducted the Leningrad Philharmonic, as a cultural ambassador for the United States State Department. Harris also worked on recording projects with his son. Johana Harris, a child prodigy performed for King Edward, the King of England, at the age of 6. She subsequently attended The Juilliard School of Music, where she taught post graduate courses at the age of 15. 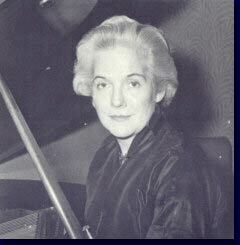 When she and her husband were professors at Princeton, she would play chamber music with Albert Einstein, who was also a professor at Princeton at the time. At the age of 75, she was the first professor from the music department at UCLA, to be awarded the distinguished professor award from that university, where she and her husband both taught, for more than 25 years. She had countless solo recordings released during her illustrious career and played on studio albums, film and television scores in Hollywood in conjunction with her son.